Smooth-On "Alja-Safe" is an excellent choice for those making single-use molds of any body part. It stands out from the crowd with its' unique ability to capture even the smallest of details. 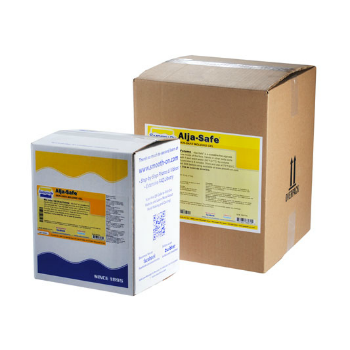 Alja-safe is also the world's first alginate not to contain "crystalline silica," a known carcinogen (hence the "safe" in the name.) Very easy to use and quick to dry, alja-safe is an ideal option for any life cast. Feel free to visit Smooth-On for detailed instructions and additional technical information.